So much of what goes on around us is unseen. We’re each surrounded by a personalized cloud of bacteria, for example. We’re also constantly emitting gases and taking in radiation. And outside, flowers and bees are communicating in secret electric code. 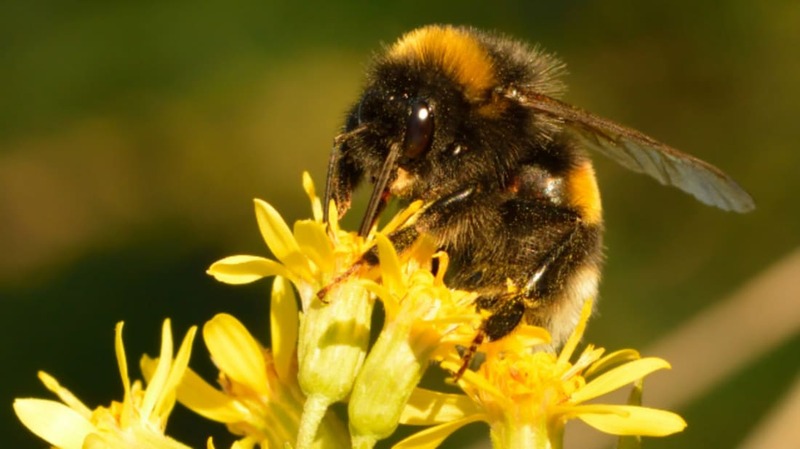 Scientists say the little hairs all over bumblebees’ bodies are sensitive to electrical fields—including those emitted by flowers full of nectar. They published their paper in the Proceedings of the National Academy of Sciences. Flowers are masters of seduction, using just about every trick in the book to lure in pollinators. Biologists knew that flowers give off electric signals, kind of like billboards, that broadcast their status (recently visited and empty, or full of nectar) to bees, but they didn’t know how the bees were picking these signals up. Researchers at the UK’s University of Bristol suspected that either the bees’ antennae or their hair could sense electricity. Earlier studies had suggested that either could be involved; bees watching others perform an electricity-producing waggle dance tend have jiggly antennae, and the small hairs of other insects are sensitive to the movement of water or sand. To test their hypothesis, the team generated small fields of static electricity of about the intensity produced by flowers in the wild. They euthanized bees and held them against the field to “charge” them, then used a laser vibrometer and implanted sensors to measure the electricity’s effect on the bees’ antennae and hair. They found that both the bees’ antennae and their hair moved in response to the electrical field, but the hair moved more, and it moved faster, which suggests that it’s more likely to be picking up what the flowers are putting down. "We were excited to discover that bees' tiny hairs dance in response to electric fields, like when humans hold a balloon to their hair,” biologist and lead author Gregory Sutton said in a press statement. “A lot of insects have similar body hairs, which leads to the possibility that many members [of] the insect world may be equally sensitive to small electric fields."